Two or three years ago my husband decided we needed more room to grow potatoes, so he dug this big strip in the back lawn. 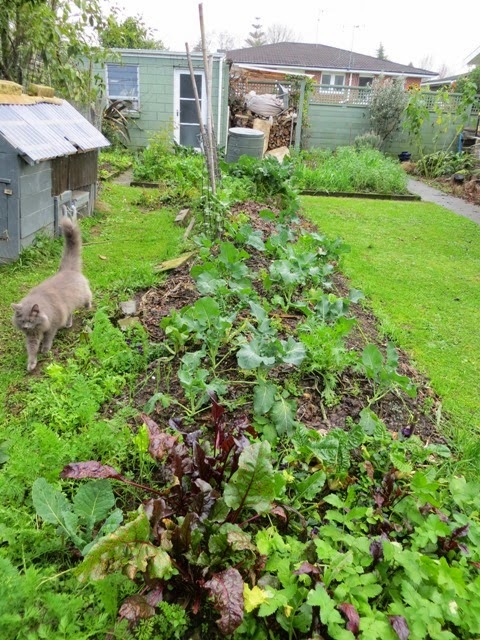 Some people don't bother with a winter vegetable garden, but we get so much out of it. I've been hardly having to buy greens at all. 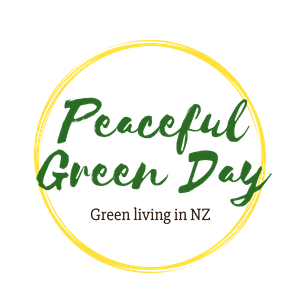 Lunch is an omlette with stir fried kale, spinach or silverbeet, or a salad with feta plus toast and honey. Or soup - such a highlight on cold grey days - with root vegetables that are not from our garden. I'll try to remedy that next year. 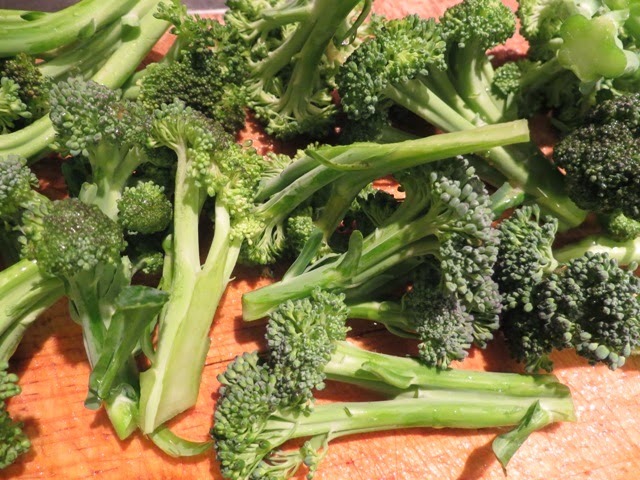 Dinner greens are usually either broccoli, stir-fried kale with olive oil and garlic, or a salad. These days the children eat all three, albeit reluctantly. Actually they both like boiled frozen peas, so sometimes we have those too. My least favourite. 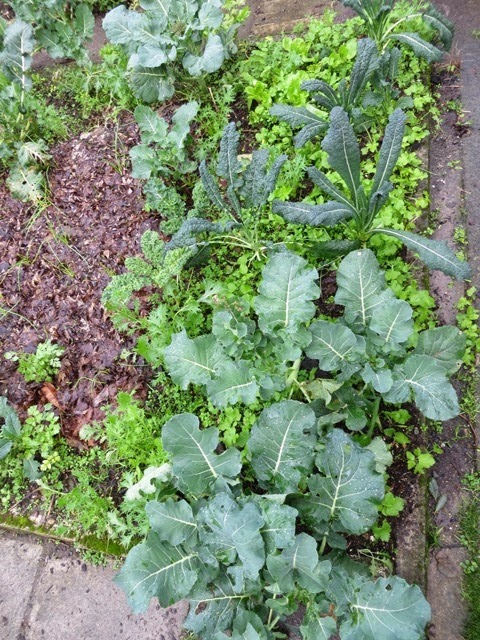 Broccoli, kale, wild lettuces and wild parsnips. their heads through the leaf mulch. There are always salad leaves for sandwiches. I got a bit paranoid that the greens I'd sown wouldn't grow big enough before it got cold. 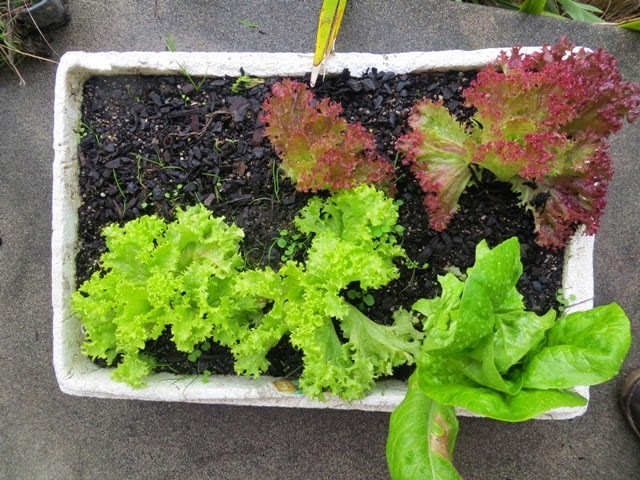 So I used a polystyrene container cast off by a fruit shop years ago (I asked), filled it with compost and potting mix and planted a supermarket punnet of fancy lettuces. It lives on our sunny, sheltered front porch. But I haven't had to use them. 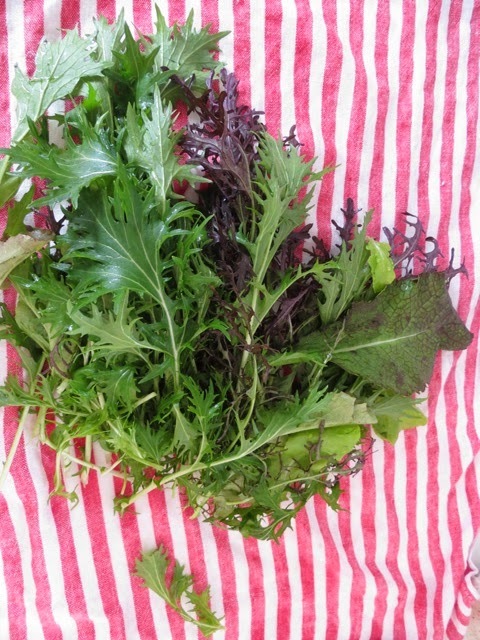 I'm addicted to the strong, spicy and slightly bitter taste of our backyard salad leaves - mizuna (green and red), rocket and mustard. 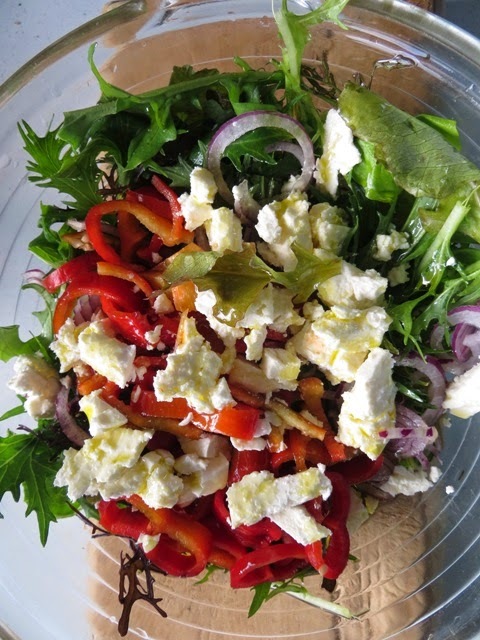 They are fabulous with red onion, red capsicum (which I get from our local Farmer's Market - sadly the capsicum people are about to have a couple of months break), cow's feta and an oil/vinegar dressing. What else is in this mid-winter garden of ours? 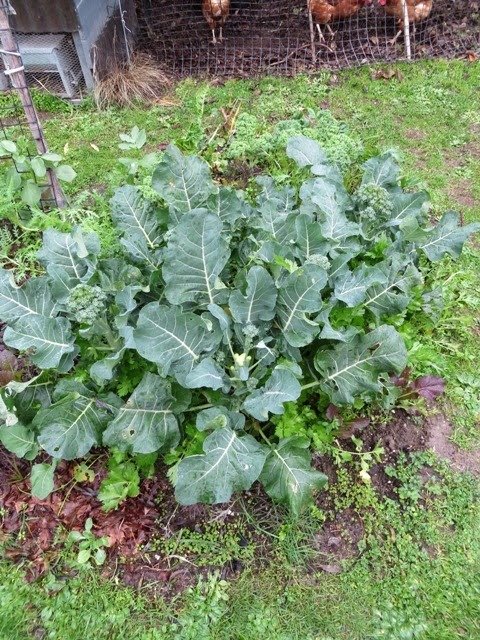 Sprouting broccoli, mustard, self-seeded lettuce and celery. Broccoli, twelve mini cauliflower plants (woops) and broad beans. 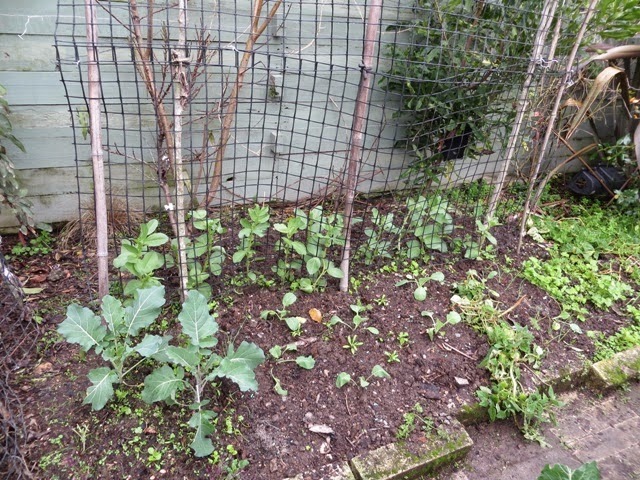 The broad bean garden above has been 'double dug'. 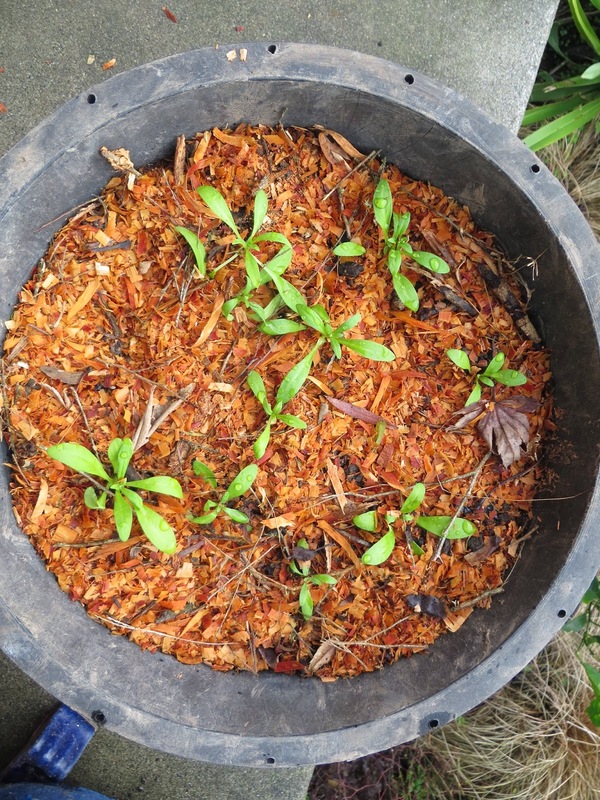 It's my experiment with this method, which is key to biointensive gardening, that I've just finished reading a book about. Basically you dig the soil very deep - moving over the top 30 cm so as not to disturb the soil structure, and forking the 30 cm below it. I went nowhere near that deep. The idea is that the soil thrives on the air this process introduces. We'll see. The other key idea is planting your vegetables close, and not in rows. I already do that. I'm loving kale. 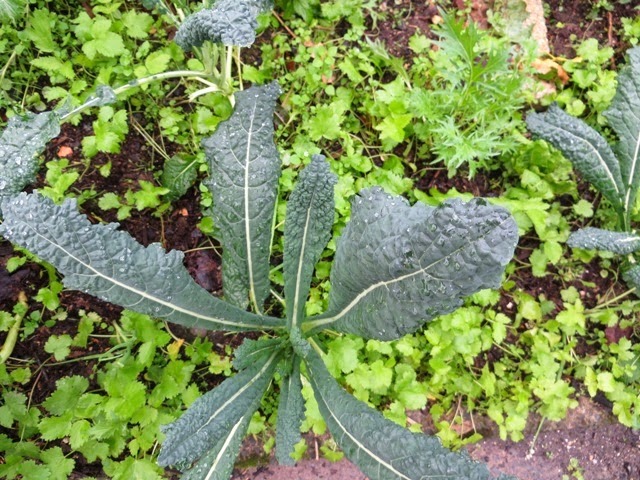 I've grown two types: cavolo nero and a curly kale. I prefer the cavolo nero, but the other's good too. 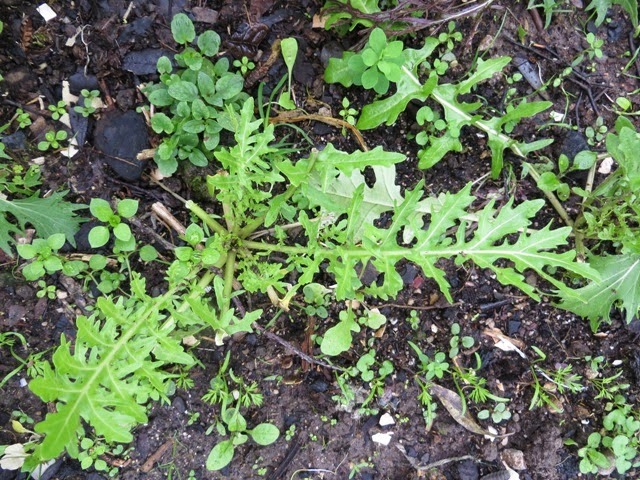 And Kings Seeds' new type of rocket, Rocket Runway, has been a hit - it's milder than the standard type and thriving in our garden. It's time, too, to be thinking ahead to spring. These are little alyssum seedlings. Those tiny-flowered plants remind me strongly of older ladies - I can't help but think of them flowering in our neighbour's garden as I grew up. Turns out they are a good host for an insect that eats the dreaded whitefly, which attacks our citrus plants. I've planted some in the garden, and this collection in a pot. 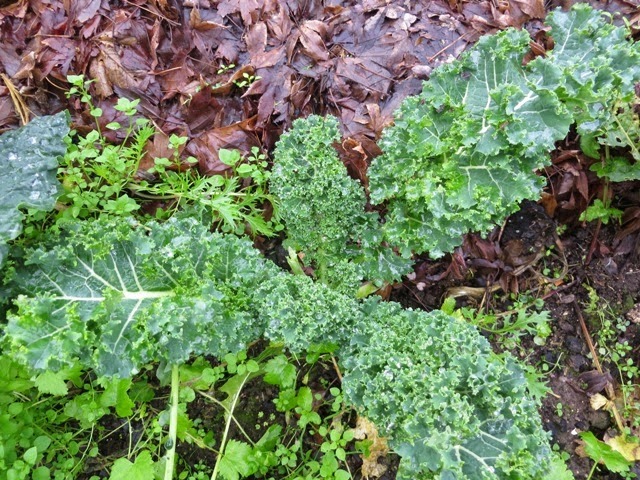 Is your winter garden giving you any treasures?